In the previous section we learnt about the history and evolution of BI. Now let us study about the segments in BI. · Data warehousing (DW) (architecture, modelling, managing, processing). · ETL processing and data integration. · CPM, Forecasting & Reporting. · Reporting, Information visualisation and Dashboards. · Online Analytical Processing (OLAP) and multidimensional analysis5. · Data cleansing and data quality management. · Data mining, statistical analysis, forecasting. · Management Information Systems (MIS). It is necessary for organisations to assess how they can use BI and information to improve results and to use structured approaches to ensure that its investments in BI deliver business value. Many companies these days seek to use strategies that differentiate customers based on their significance. In retail banking, a customer with loans, large savings account, a checking account with large balances, credit card balances and who uses on-line banking is much more valuable than a customer with only a low-balance checking account who comes into a branch frequently. Bank would want to retain the former customer, whereas it might be willing to lose the latter. The Business value of BI lies in its use within organisation processes that impact working process that constrain profits or reduce costs, and/or in its use within those working process itself. Business values also have management processes and operational processes that take into account about the differences in customer value and treat the highly valuable customers preferentially. For example, a bank may ignore a late fee on a loan payment for the valuable customer, but not for the less valuable customer. John Hagerty6, vice-president an analyst at firm AMR Research. · Planning, budgeting and forecasting: contribution, aggregation, manipulation, and approval of the financial plan on a periodic or continual basis. · Financial consolidations and reporting: legal and statutory consolidation systems, along with more comprehensive financial statement generation capabilities. · Financial analytics and dashboards: profitability applications, role- specific dashboards, metrics, and specific financial analytics for detailed financial processes. · Financial governance, risk management, and compliance: governance and control requirements that include national and international regulations, Example: Sarbanes-Oxley or the International Financial Reporting Standards. · Scorecards and strategy: Methodology-based scorecards, such as the Balanced Scorecard, and strategy management applications. Business intelligence involves the combination of core data with correct contextual information. It detects significant events and clarifies issues to examine business trends, to develop and adapt quickly to conditions and to make intelligent business decisions on uncertain judgements and contradictory information. It depends on investigation and analysis of unrelated data, to provide relevant insights, identify trends and discover opportunities. Example Many public-private sector implements BI value chain. In the organisation. Ideally, any manager or knowledge analyst is able to create data requests without programmer assistance and accomplishes answers at the speed of thought. Queries should be immediately asked and answered in order to maintain the thought flow on a particular topic. In the next section we will learn about BI value chain. Data: It is a raw fact that do not have context; it is meaningless and is difficult to understand. Facts are figures, characters, character strings, content, images, voice, video and any other form. „Data in context‟ is data that have meaning and can be understood easily. It is not yet information because it has no significance or time frame. Information: It is a set of data that is relevant to one or more people in time or for a period of time. Information is data with meaning, significance and reason. A set of data in context becomes information when one or more people are ready to accept that message according to their needs. A message without meaning, significance or reason is simply noise. Knowledge: It is an awareness of the fact or condition, to know something with knowledge gained through experience or involvement. It is the associated with knowing truth or fact. „Tacit knowledge‟ is the knowledge that is in people’s head. It makes people smart and they act intelligently. „Explicit knowledge‟ is the knowledge that has been delivered clearly to a community of people, such as an organisation. Organisational knowledge: It is information that is significant to an organisation, It is combined with experience and understanding. It is analysis, indication and mixture about what information means to the business and its advantages. It is the ability to learn, be aware of and deal with new situations; to apply knowledge and think theoretically. It is the core of an intelligent learning organisation that must be accumulated, grown and managed. 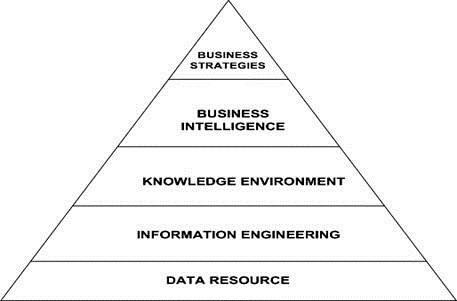 This knowledge is a rational understanding of information that leads to business intelligence. Derived from Latin verb, john-enmark meaning “to understand,” or “to choose between”. Identify its importance and link with other data. Develop a plan for action. Use the plan to accomplish a desired goal. Previous Post Announcing Visual Studio 2013 Preview availability!‏ Download & features !